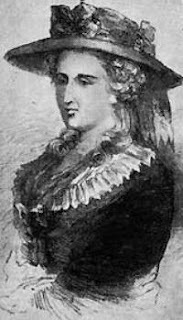 Uma das figuras mais proeminentes da literatura gótica, Ann Radcliffe ainda hoje intriga os estudiosos por, apesar do seu sucesso, ter posto fim à sua carreira literária com a publicação de The Italian em 1797. Num artigo publicado na mais recente edição do Romantic Textualities, Jacqueline Howard (Reading Gothic Fiction: A Bakhtinian Approach) levanta a hipótese da autora ter, afinal, publicado anonimamente mais dois romances. O número 20 do Romantic Textualities pode ser descarregado em PDF neste link, incluindo também críticas a The Mountain Bard de James Hogg e a The Gothic and Catholicism: Religion, Cultural Exchange and the Popular Novel, 1785–1829 de Maria Purves, ambas de especial interesse para os apreciadores de literatura gótica. Romantic Textualities: Literature and Print Culture, 1780–1840 is a peer-reviewed online journal that focuses on the interface between literature, book history and material cultures during the Romantic era. Romantic Textualities disseminates scholarship in a variety of forms: peer-reviewed essays, reports and bibliographical checklists, and review articles. Essays have included studies as diverse as Wordsworth and the rise of copyright, metropolitan art criticism, travel writing, pugilism, sentimental fiction and morality, Gothic bluebooks and discourses of gardening.